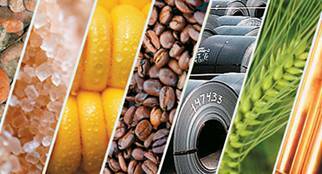 Get today's commodity prices and news, plus, daily analysis of the commodity market from traders and commodity fund managers. For a good primer on how you can profit from commodities, don't miss Dan Dicker's "How to Invest in Commodities Sensibly" as well as Alix Steel's "How to Invest in Gold." What Are Gold and Silver Prices Today? Worries about the returns from financial assets have investors piling into bullion. Brace for a hard landing in stocks in 2019 as economy shows signs of cracking. China's robust economic growth over the past two decades has gone hand-in-hand with the nations' accumulation of gold.